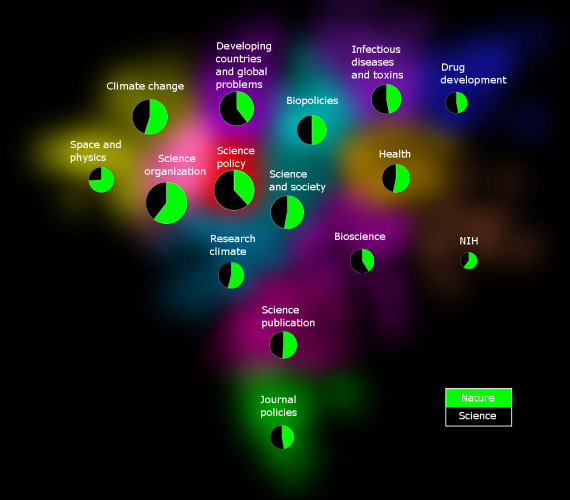 The maps displayed below provide an overview of the editorial topics of Nature and Science. The first map is a document map. This map shows relations among 1565 editorials published in Nature and Science between 2000 and mid-2009. The second map is a term map. 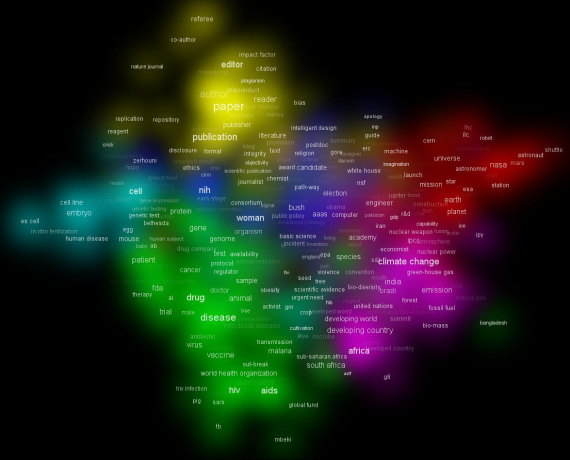 This map shows relations among 600 terms occurring in the editorials. Both maps have been constructed based on co-occurrences of terms in editorials. Click on a map to examine the map in full detail using VOSviewer.